Small screwdriver/tool to leverage plastics. Torx screwdriver (don’t remember the size – quite small). Using a small screwdriver (or similar tool) leverage the plastic shell that houses the adapter/control buttons – this isn’t very difficult but might require some uncomfortable force. 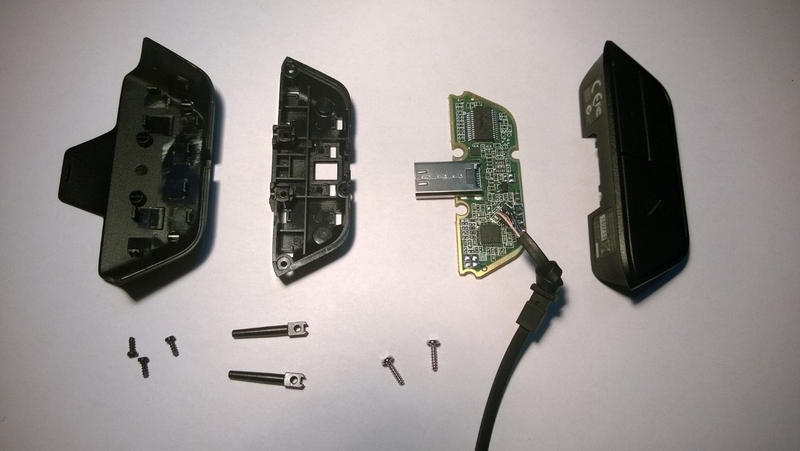 Xbox One headset tear down. 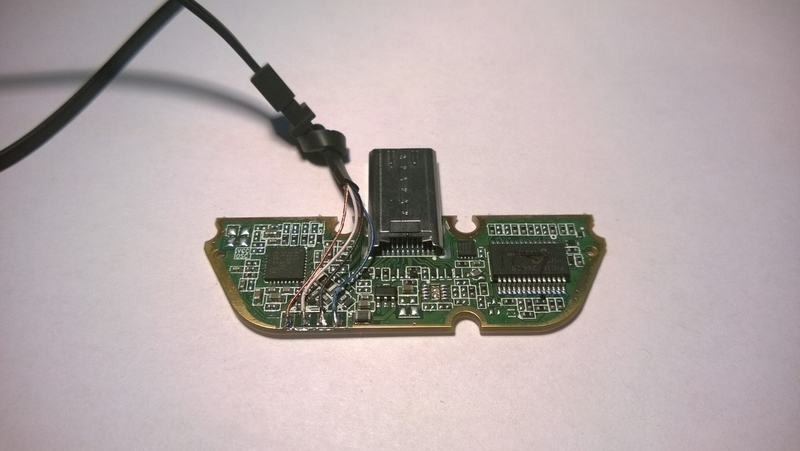 Xbox One headset internal board and wiring. You want to de-solder the blue, black, white and bare wire from the board. One set of two is for the headphone, the other is for the microphone. 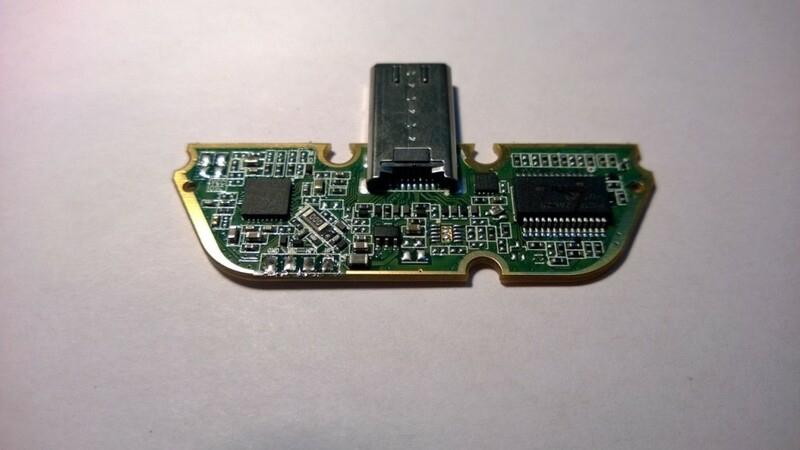 Xbox One headset internal board minus wiring. Microphone Ground (originally the bare wire). Microphone Positive (originally the white wire)*. Speaker Ground (originally the black wire). Speaker Positive (originally the blue wire). * Considering there is only mono sound for the speaker, you might want to consider bridging the left and right channel on the 3.5mm socket side. 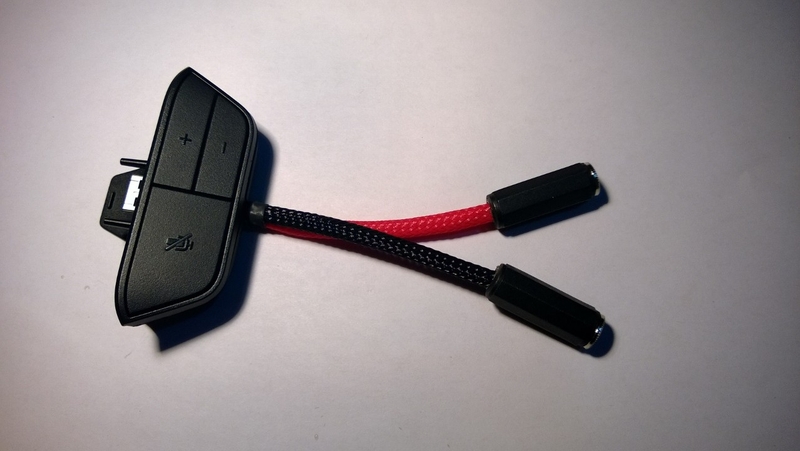 Modified Xbox One headset adapter. Modified Xbox One headset adapter and controller. Job done. Back to Forza 5! 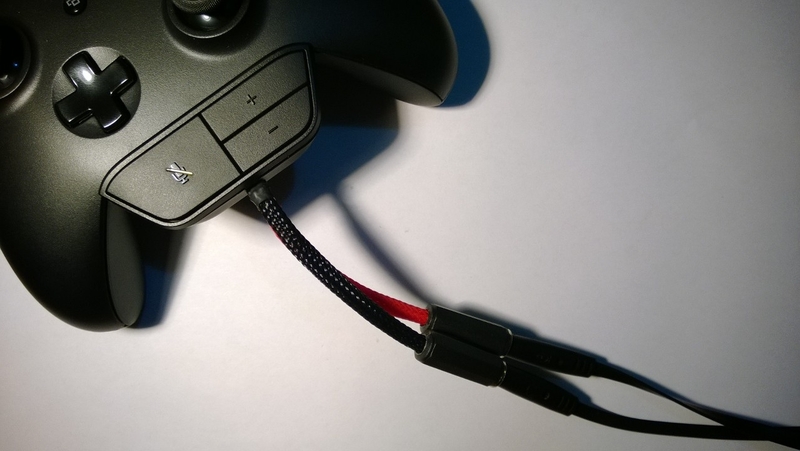 Looking at the Straight Talkback Cable, you could remove the 2.5mm jack that connects to the Xbox 360 controller and solder it directly to the Xbox One adapter, or you could do something similar to what I did and attach a 2.5mm socket to the adapter instead and plug you Straight Talkback Cable into that. I only chose to do 3.5mm sockets because that is what my head gear uses – if you used a 4 way 2.5mm socket, it would be completely compatible with any Xbox 360 headset. Thanks! Might give it a shot! How would you tell which wire is which e.g. for mic/chat audio? Trial and error I guess? Do you think you could add some pictures showing how to open up the connector? I understand it part of it pops off, but now sure where exactly to start. When I took the the adapter apart, I also took the original headphone/mic apart. I just used a multimeter to test connectivity between the adapter points and what they connected to on the other end. The wires being colour coded helped too, but I wanted to double check. If I get a chance tonight, I’ll post a picture tonight of how to open it. If you have a small enough screwdriver and come in from the sides you should have any trouble popping it off. In this image (http://blog.damonpollard.com/wp-content/uploads/2013/11/WP_20131124_001.jpg) the top left piece is the piece that comes off. Will a 4 way socket still work for xbox 360 heasets even if they only have 3 way plugs? Woops. You’re right; stick with 3 pole (4 pole won’t work). I made an adapter like yours, but i only get the chat. Is there a way to get the gamesound on the Headset too? ~Ground *for both the speaker and microphone* (originally the bare wire). ~Microphone Positive (originally the white wire). ~Headphone Right Positive (originally the black wire). ~Headphone Left Positive (originally the blue wire). than the wire of the sleeve to the gnd.